"The scope and shape of Herrin's survey of Byzantine history and culture are impressive. She moves from the foundation of Constantinople to its fall before the Turks in a series of 28 short chapters. This allows the curious reader to sample such delectable topics as Greek fire, eunuchs, icons, the Towers of Trebizond,"---New York Review of Books. 390 pages, softcover. Princeton University. Learn about the often-neglected, but uniquely influential, characters that history has forgotten! 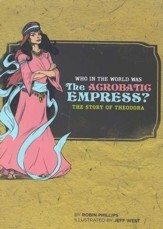 Learn about the life of Theodora, empress of the Byzantine Empire, who rose from a life as a lowly-actress and tumbler to become one of the most powerful women in the world. 44 pages with index; softcover. In this magisterial adaptation of his epic three-volumehistory of Byzantium, John Julius Norwich chronicles theworld's longest-lived Christian empire. Beginning withConstantine the Great, who in A.D. 330 made Christianity the religion of his realm and then transferred its capital to the city that would bear his name, Norwich follows the course of eleven centuries of Byzantine statecraft and warfare, politics and theology, manners and art. Stylishly written and overflowing with drama, pathos, and wit, here is a matchless account of a lost civilization and its magnificent cultural legacy. In A.D. 330 Emperor Constantine inaugurated Constantinople as his capital on the site of the Greek city of Byzantium. The town reamined the capital of the East Empire until 1453 when it was captured by the Turks. 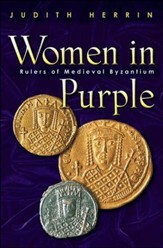 This book is a history of the Byzantine Empire which was centered upon its capital city, Constantinople. Color Overheads Included! 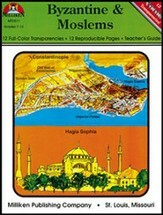 The Byzantine & Moslem Empires contains 12 full-color transparencies, 12 reproducible pages, and a richly detailed teacher's guide. Among the topics covered in this volume are Constantinople, the Eastern Orthodox Church, Mohammed, Islamic religion, politics, architecture, and arts, and Islam's contribution to world culture. Grades 7-12. 24 pages, transparency book. 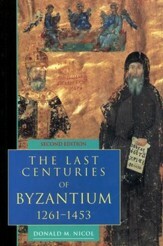 Byzantium occupies an uncertain place in European history. Though often misconstrued as a vanished successor to the classical world, Byzantium belongs in the mainstream history of Europe and the Mediterranean; its impact is still felt throughout the Balkans, Eastern Europe and the Middle East. 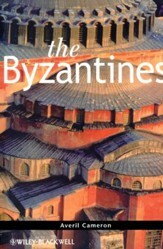 The Byzantines introduces the reader to the complex history, ethnicity and identity of the Byzantine empire. In A.D. 330 Emperor Constantine inaugurated Constantinople as his capital on the site of the Greek city of Byzantium. The town reamined the capital of the East Empire until 1453 when it was captured by the Turks. This book is a history of the Byzantine Empire which was centered upon its capital city, Constantinople. 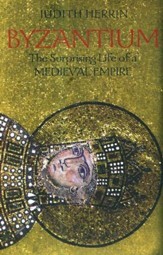 This books concentrates on the tumultuous middle years of the Byzantiun and closes with a still more fateful event: the Empire's catastrophic defeat by the Seljuk Turks at Manzikert in 1071, a defeat that caused it to lose 3/4 of Asia Minor and began the slow but inexorable Turkish advance that eventually ended with the capture of Constantinople in 1453. 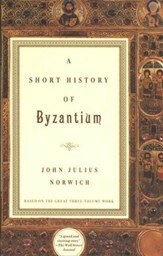 But, Norwich shows that Byzantium was fighting for its life due to growing external forces from the north and south and internal clashes as well. The Byzantine Empire, fragmented and enfeebled by the Fourth Crusade in 1204, never again recovered its former extent, power and influence. It revived when the Byzantines in exile reclaimed their capital city of Constantinople in 1261. The Last Centuries of Byzantium: 1261-1453, by Donald M. Nicol, narrates the history of the restored Empire from 1261 to its conquest by the Ottoman Turks in 1453. It describes its struggles for survival, against the Christians of the west who longed to retrieve the prize of Constantinople; against the continuing occupation of Greece and the Aegean islands by French, Genoese and Venetian colonists; against the growing might of the Turks in Asia Minor; against the expansion of the Serbian Empire in the Balkans; and against the suicidal squabbles among its own ruling families. Its tenacity was revealed in a lively cultural and religious revival in the fourteenth centrury, but as an institution it succumbed to a long process of attrition as the Turks overran its provinces in Asia and Europe and finally its capital city. 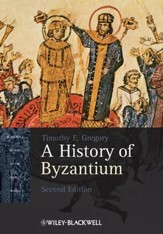 First published in 1972, the book has been completely revis- ed, amended and in part rewritten, with its source references and bibliography updated to take account of new scholarly research on this last period of Byzantine history. For the following half-century of extraordinary decline our main source is Michael Psellus (1018-96), one of the greatest courtiers and men of letters of the age. His vivid and forceful chronicle, full of psychological insight and deep understanding of power politics, is a historical and literary document of the first important'ce. Recent scholars have shattered for ever Gibbon's view that the Byzantine Age was just a shabby and disreputable appendage to the Roman Empire; Psellus, a man of striking refinement and humanity, both portrays and exemplifies at its best the Byzantine way of life.